The reason we all love soft drinks or soda is for the thirst-quenching fizz. But more and more health conscious people are rejecting these nutritionally empty beverages that are harmful to the body. In addition to the high sugar content they also have preservatives, colourants and other dangerous additives such as brominated vegetable oils (BVO). There have been reports that over time, as BVO builds up in the body, it can cause memory loss and skin and nerve problems. The good news is that we can bring back the fizz in our beverage through water kefir grains. With water kefir grains you can make fizzy orange juice called probiotic orange juice, ginger beer and put the fizz into any other fruit juices. Kefir grains is made up of different strains of beneficial bacteria and yeast living in a symbiotic relationship. As they consume the sugar in the liquid they produce lactic acid, carbon dioxide and ethanol. This is what causes the fizz. A probiotic juice made of water kefir grains can contain a range of B vitamins and vitamin K and folic acid. No one knows the origins of kefir grains except that it originated from the North Caucasus Mountains in Russia, widely used among the Nomads and passed down from one generation to another. In this rush to jump on the bandwagon of healthy food there are commercially produced water kefir grains being sold that are not as effective as the authentic ones. Authentic water kefir grains propagate in time as it keeps fermenting one batch after another. These are the grains we should use to produce water kefir. Commercial grains are sold as “authentic kefir” or “authentic kefir grains” but they are lab produced and lack the proper symbiosis of the different strains of bacteria and yeast and many beneficial strains are also missing which can only occur in a natural setting. 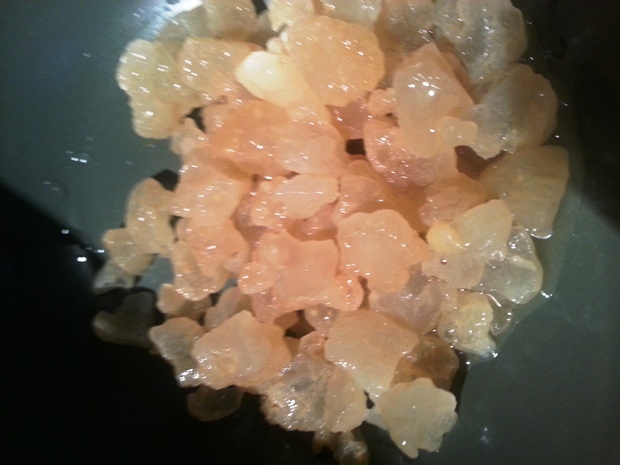 Despite many attempts to produce kefir grains from pure or mixed strains of the bacteria and yeast, no successful results have been reported to this day. When kefir grains are not authentic they might even be able to culture only for a time like 7 or 8 times before you need to buy fresh grains again. Authentic kefir grains last a lifetime and will grow when they are actively used. 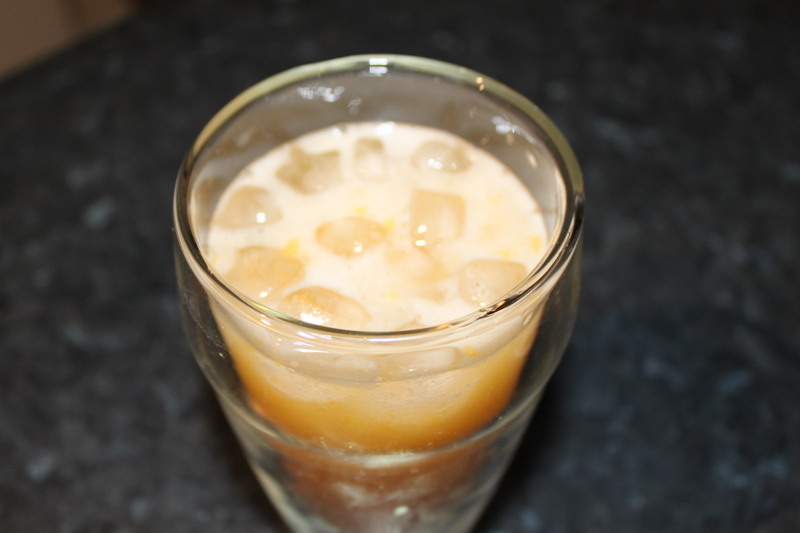 I have been making probiotic orange juice with my water kefir grains. 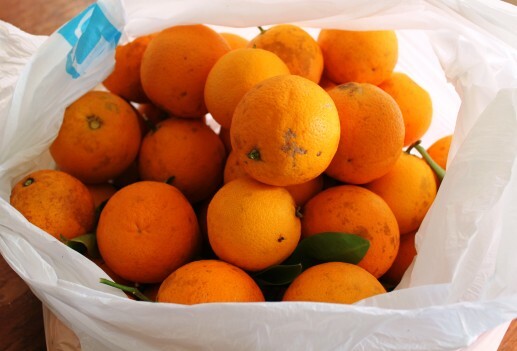 Oranges are in abundance this time of the year and I have been fortunate to get some from a friend’s farm. This is how all-natural oranges look like. They have defects and blemishes. Not something you would see in supermarket bought oranges. A worry because you wonder what chemicals and pesticides go into producing these uniformly “perfect” looking oranges. I’m happy with my friend’s oranges as I know they don’t use chemicals on their tree. Leave the water kefir grains in sugary water for about 24 hours at room temperature before adding the freshly juiced orange. 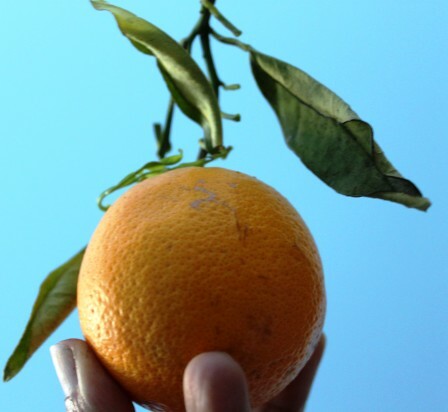 This is because orange is acidic and it is best to let the grains have an active start by feeding it in sugary water at room temperature and then add the orange juice and leave for another 24 hours at room temperature. Then your probiotic orange juice is ready. Strain out the grains and store the probiotic orange juice in a bottle in the fridge. I put mine in a glass bottle. If you tighten the cap on the bottle you will cause the juice to fizz. If you are not going to drink straight away, you need to open the cap after 24 hours to prevent build-up of gas. Drink this healthy probiotic orange juice straight out of the fridge whenever you like. Water kefir grains are to go back into their sugary water and remain there in the fridge when not in use. Once a week replenish the sugar if not in use. Great information. How can get hold of or start kefir grains? I do by a starter to make kefir and one to make yogurt. You use water kefir, Randy. They are different from milk kefir grains. While you store milk kefir in milk, you store the water grains in sugary water. Do you have these water kefir grains. You must be careful you don’t get the commercially produced ones. They can only be obtained from someone else who has the authentic ones. The real kefir grains propagate. Which kefir grains do you have? Water or milk? Pretty nice post. I simply came across your weblog and wished to state that I’ve truly enjoyed surfing around your site posts.